The Gambia is located on the smiling coast of West Africa, an ex-colonial country surrounded by Senagal(French) The Gambia river winds its way through the country and provides the perfect habitat for over 540 different bird species; a bird-watchers paradise. There is lots to see and do apart from lazing in the sun on the beach. The Gambia is only 5½ hours flight from the UK, is best known for Alex Haley story of "Roots" and you can enjoy the "Roots River Trip" past the dolphin colony, visit St. James Island as you follow the story. 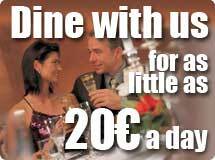 The culture and food is exotic reasonably priced and the service second-to-none. The Gambian is voted the 4th friendliest place on earth. There are several different tribal languages, English is the main language and together with English law, makes The Gambia the perfect holiday destination. The Gambia is located on the same lattitude as Florida, Barbados, Hawaii and enjoys the same climate, with all year round sunshine, without the extreme weather. The Gambia enjoys strong relationships with the UK, USA and France(Senegal). Located midway between the Tropic of Cancer and the Equator, The Gambia enjoys uninterrupted sunshine and high temperatures with almost no rainfall from November to June, this makes Gambia the perfect all year round holiday destination. 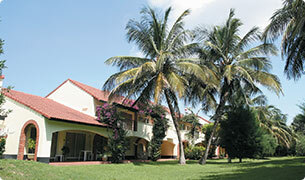 Enjoy breakfast in the morning sun, sat on your own private balcony overlooking the lush tropical gardens. Dine in an African gazebo on the beach, watching the sun set over the Atlantic Ocean. 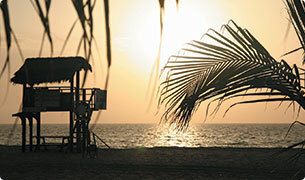 Kololi Beach Club is on the smiling coast of West Africa, where time stands still. 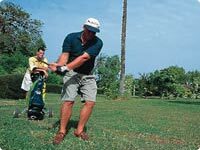 You may also enjoy a relaxing round of golf on our beautiful landscaped 18 hole par 3 course whether you are a beginner or expert. Forgiving fairways and browns (not greens) ensures that your game will be enjoyable; surrounded by lush greenery, wonderful wildlife and all the facilities that Kololi Beach Club has to offer. When you want to relax simply retire to the clubhouse or enjoy the 19th hole bar experience.